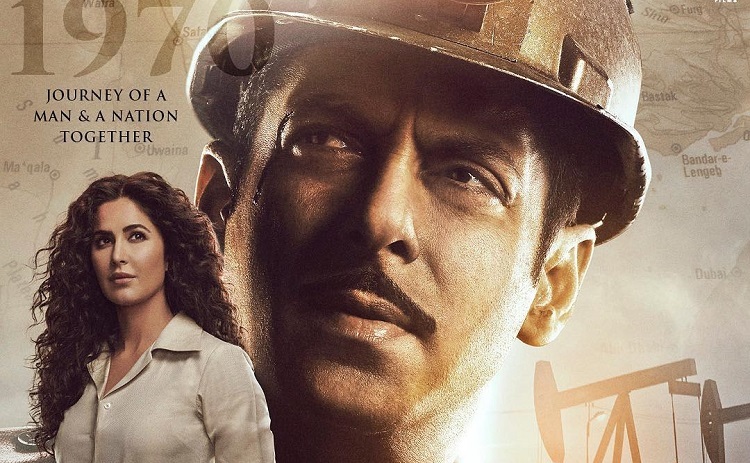 After captivating the audience with two distinct looks of Salman Khan in and as Bharat, the third poster introduces the Madam Sir of the film, Katrina Kaif. "Aur phir humare zindagi mein aayi 'Madam Sir' #KatrinaKaif #BharatKaJunoon"
Donning a mustache and a headlight helmet, Salman takes you back to the 70s. The poster also has Katrina Kaif clad in pleated pants and white shirt, Katrina looked elegant.